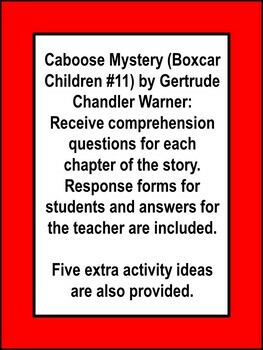 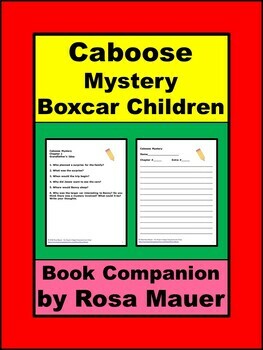 Caboose Mystery (Boxcar Children #11) by Gertrude Chandler Warner: Receive comprehension questions for each chapter of the story. 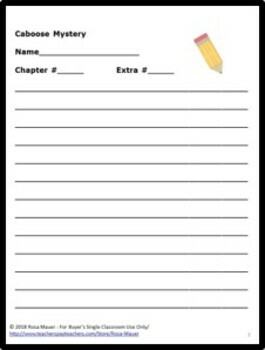 Response forms for students and answers for the teacher are included. 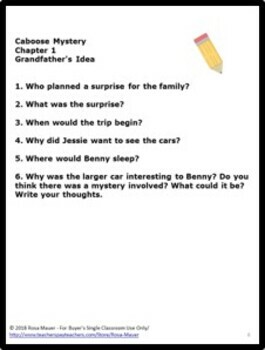 Five extra activity ideas are also provided.